If you’re visiting Greyton for the December holidays, buy an 2019 annual permit and you can ride this month for free! Buy your Annual permit and get a years access to the Greyton Genadendal trail network. With an annual permit you automatically become a member of the GGMTB Club where you’ll get the latest news on new trails, outride invites and up to date info on trail conditions. If you’re in these neck of the woods a few times a year and you’d like to support the trails consider buying an annual permit. Remember: All trail fees go right back into trail maintenance and improvement! 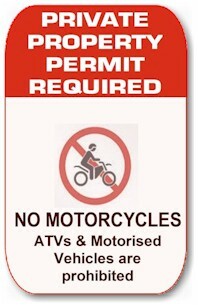 If you’re a once off visitor and want to ride any of the routes you need a temporary permit. Children under 12 years of age are free in the Rock Hopper Forest. Temporary Permits are valid for 2 days and are designed for weekend visitors. NB2: If you are wanting to ride early on Saturday morning Vanilla Cafe is open on Friday evenings until 21:00 for you to purchase your permit. A band of locals have MARSHAL boards instead of ANNUAL boards. This means that they are there to help with trail info (and puncture repair if you’re lucky!) and also to ensure that you’re displaying your bike board. We have a deal with private landowners and your bike board proves that you are legitimately there and automatically welcome! 1. Ride Open Trails: Stay on marked Trails only – unless you are clearly on public property. 3. Control Your Bicycle: Ride within your limits. 5. Plan Ahead and let someone know where you are.